I’ve been on a salad kick lately. Drain and rinse the chickpeas, then gently dry them with paper towels to remove all of the moisture. 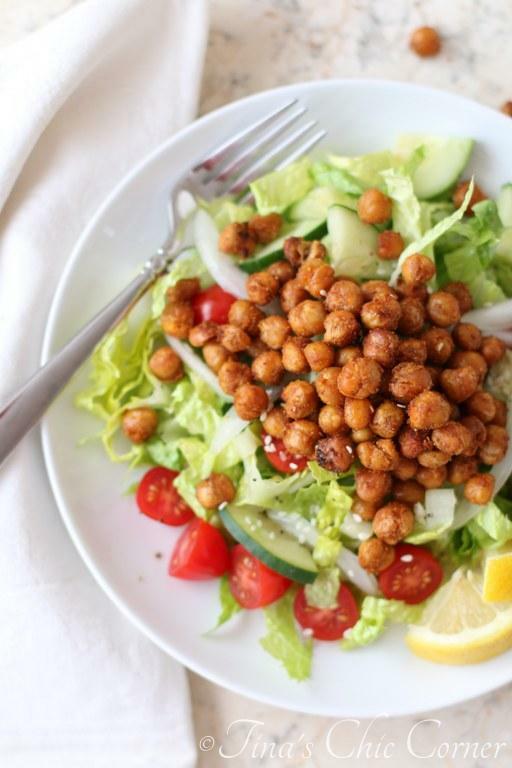 In a medium bowl, add the chickpeas, oil, cumin, coriander, garlic powder, onion powder, paprika, and salt and mix everything together so that all of the chickpeas are well coated with the seasoning. Spread the chickpeas onto a baking sheet, in a single layer. Bake the chickpeas for 30 to 40 minutes or until they are golden and crispy. Toss them a couple of times during the cooking process. Allow the chickpeas to cool prior to serving. Do not cover them or they will turn soft and weird. I also recommend eating them the day you make them because the toasty oven treatment will fade with time and the chickpeas will soften even if you don’t cover them. In a medium bowl, whisk together the oil, lemon juice, minced garlic, pepper, and salt. 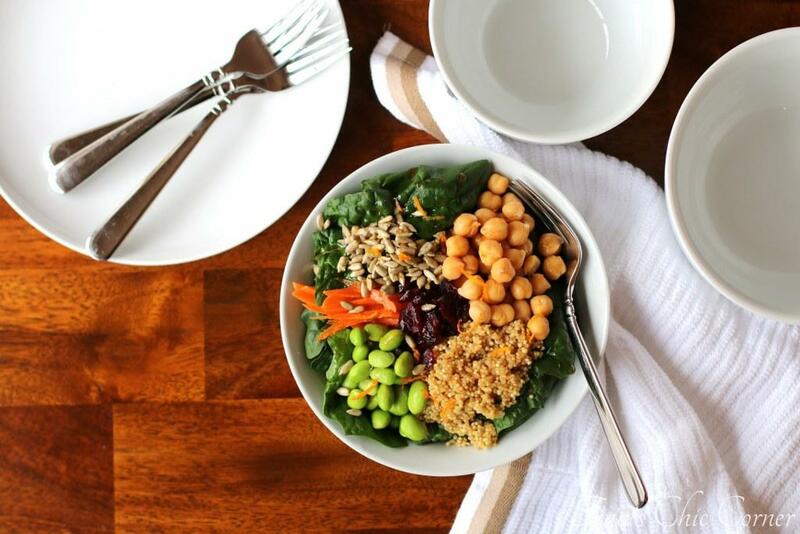 For each serving, arrange the lettuce, tomatoes, cucumber, onion, and falafel-spiced roasted chickpeas on a plate. 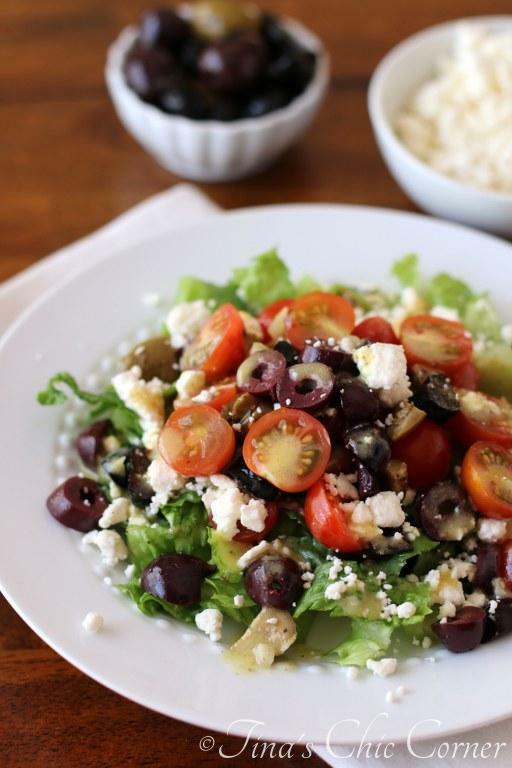 Here are some other sensational salads. I looooove chickpeas! And falafel! And romaine! 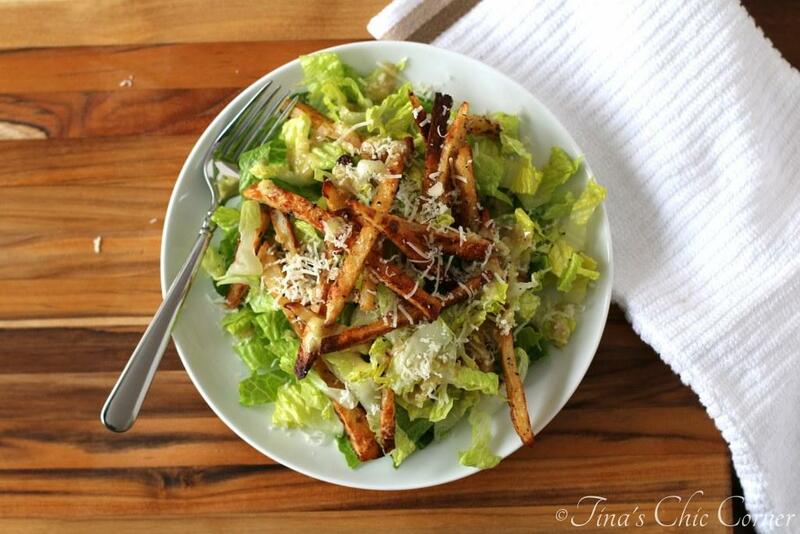 Oh, this salad is so perfect in so many levels! I love chick peas. This looks yummy.